Last month I have published the first Profit Chart report for EVE Online, but it was only partially useful. Why? Because I missed the most imprtant part required to understand how the report is made. Profit Chart is a module within LMeve application, which compares costs of running the complete production process (invention, subparts, manufacturing) and the lowest sell price. But what about ME you say? What about Decryptors for Invention? For Tech I items and ships ME 10 is assumed. For Tech II modules no decryptors are used, so ME is 2. For Tech II ships Symmetry Decryptor is used, so ME is 4, and run number on the BPC is 3. For Capital Parts ME 10 is used. For Capital Ships ME 4 is used. LMeve GUI update – Decryptors! - Decryptor configuration is stored per typeID, so you can choose best decryptor for each item. - View is now rendered to HTML as the last thing, so LMeve pages can now modify title and other header attributes, including media tags. Speaking of Decryptors. Invention previously assumed no decryptors used (and ME=2 and TE=2 were hardcoded). Now for each item you can choose if and which Decryptor to use. It will be used everywhere in LMeve - in Profit Chart, in Database and in Logistic Kits. While you choose Decryptors in Database, ME, PE and material lists are updated on the fly, cost calculation requires clicking "Save". This will be fixed in a future release. Update is already available on LMeve project page. 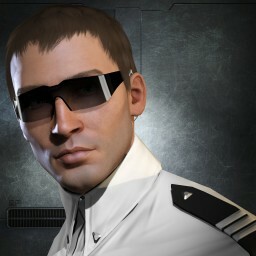 I'm taking a break from EVE Online (possibly for good), so this blog will not be updated until further notice.